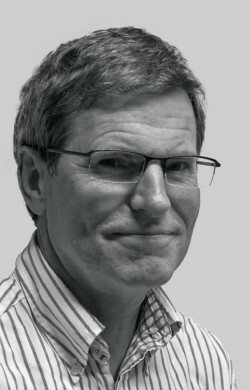 2011 – : Founder and CSO, D’Liver (www.dliver.com), a service and development providing company specializing on the biodistribution of biopharmaceuticals, including oligonucleotides. 1993 – : Professor in Cell Biology; Head of Vascular Biology Research Group, Department of Medical Biology, University of Tromsø. 1984: Ph.D. in Biochemistry/Cell biology at University of Uppsala, Department of Medical Chemistry. Thesis title: “Endocytosis of connective tissue macromolecules in liver endothelial cells”. 155 scientific papers (altogether 170 listed in Web of Science); h-index (web of science, May 2014): 34. Discovered 1982 the physiological scavenger function of the liver sinusoidal endothelial cell (LSEC). These cells represent the major site of clearance of an array of blood borne physiological and foreign macromolecules and nanoparticles. Understanding the mechanisms of uptake and metabolism of endocytosed macromolecules in these cells is a prerequisite to understand the reasons for unwanted uptake and hepatotoxicity of several biopharmaceuticals, including oligonucleotides. The research activities in the Smedsrød group centers around the biology and physiology/pathophysiology of the vertebrate scavenger endothelial cell (SEC) (= the liver sinusoidal cell, LSEC), and includes national and international collaboration, both with colleagues within own field, with groups representing translational research, and with groups representing quite different fields (interdisciplinary research) such as nano materials physics and optical physics. For many years Smedsrød performed pioneering work developing methods to isolate and cultivate LSECs, enabling basic studies of these cells. He has established methods for isolation and culture of LSECs from mouse, rat and pig, and as partner of the EU FP7 project HeMiBio he prepares early primary cultures of human LSECs. Moreover he studies the phylogeny of SEC.